ST. GEORGE — For the first time in six years, Utah has seen a decrease in heroin-related deaths, according to data shared by state officials Monday. In addition, the number of prescription opioid overdose deaths declined for the third consecutive year. Lt. Gov. Spencer Cox announced Monday that prescription opioid-related deaths fell by 16 percent from 2016 to 2017 while heroin-related deaths fell by 14.5 percent, according to a press release from the governor’s office. “While it’s certainly encouraging to see these numbers headed in the right direction, the number of deaths associated with opioids and deaths of despair in our state is staggering,” Cox said. In 2017, 360 Utahns died from opioid-related overdoses. Prescription opioids were related to 237 deaths while heroin was involved in 159. The press release noted that 36 deaths involved both prescription opioids and heroin, and those deaths were counted in both categories, which accounts for the discrepancy between the number of deaths (360) and the sum of the deaths listed in each category (396). “The sad fact that 360 families are struggling with the loss of a loved one due, at least in part, to opioids is cause for all of us to remain committed to putting a stop to this terrible epidemic,” Cox said. Utah was one of nine states that experienced a decrease in opioid overdose deaths. In Southern Utah and across the state, efforts have been made to reduce fatalities caused by opioid overdoses in recent years. In 2017, Intermountain Healthcare launched a campaign to reduce by 40 percent the number of opioid tablet prescriptions written by its doctors. In various Intermountain Healthcare facilities like Cedar City Hospital and Dixie Regional Medical Center, posters and signs giving statistics and warnings involving opioid addition and overdose are displayed on walls, floors, tables, elevator doors and more. An effort to mark opioid-based medications with red labels warning of addition and overdose was also launched in 2017. First responder agencies have also begun to carry the drug nolaxone that can be used to revive opioid overdose victims. 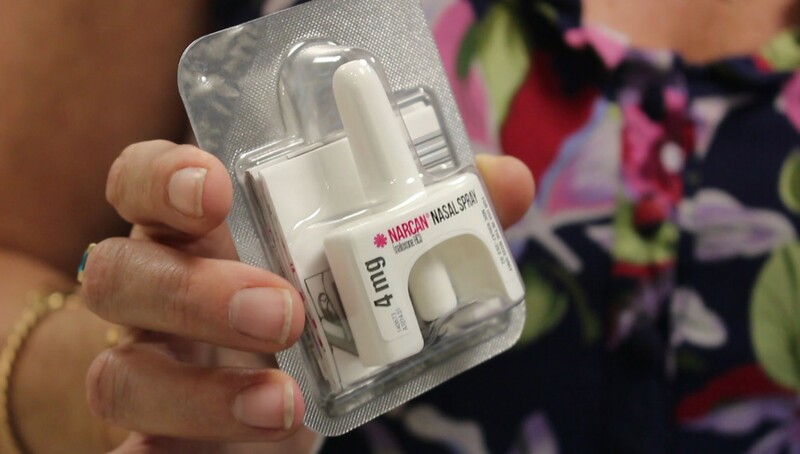 The drug, which generally comes in the form of a nasal spray, began to be carried by Washington City Police officers in 2016. President Donald Trump declared the opioid epidemic a public health emergency in October 2017. Cox announced he has accepted the position as chairman of the Utah Coalition for Opioid Overdose Prevention, a multi-disciplinary collaboration of more than 60 experts in the fields of substance abuse prevention and treatment, law enforcement, environmental quality, health care and public health. The Utah Department of Health received a $3.2 million grant from the Centers for Disease Control and Prevention that will establish near real-time monitoring and reporting of opioid overdose events. These data will provide public health agencies throughout Utah with a more comprehensive and timely picture of how the opioid epidemic is impacting their communities, allowing them to target interventions more effectively. The Utah Department of Commerce overhauled the Controlled Substance Database. A new patient dashboard gives prescribers and dispensers four quick patient alerts when a potential problem exists with a patient, and a prescriber dashboard will be released for prescribers to assess and compare their prescribing behavior. The Utah Department of Human Services provided grants to local communities to implement evidence-based prevention activities. It also provided resources to train and equip first responders with naloxone, and this year opened three new Medication Assisted Treatment programs. 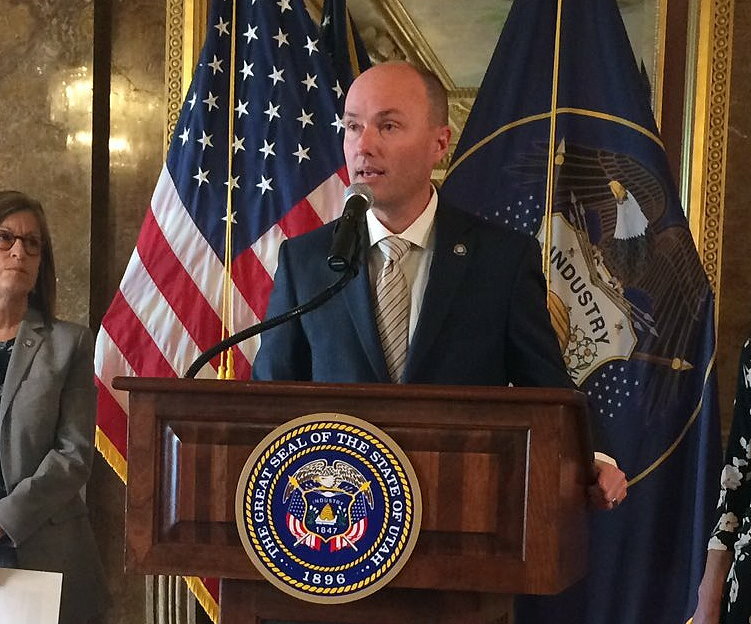 The Utah Department of Public Safety established partnerships with federal, state and local agencies to create the Drug Monitoring Initiative, which is focused on developing an early warning capability for emerging drug threats within the state.